When I first learned about Jerry Jenkins with the Left Behind series in the late 1990s, what impressed me the most—other than a story that gave me jet-lag because I stayed up too many all nights reading because I couldn’t put it down—was Jenkins’ knack for stories without fluff. Until then, I figured good writing meant lots of flowery words and description. And if it was boring, that meant it was a classic. Jerry Jenkins cured me of that. He taught me by example, today’s classics can also be riveting. He could have rested on his laurels after the Left Behind series, but instead, he went on and wrote a zillion other books. All entertaining, all with meaning we can use in real-life. Dead Sea Rising continues the tradition and might even improve on it. In a time of streaming TV binge-watching and short attention spans, I like the short chapters and alternating time periods. 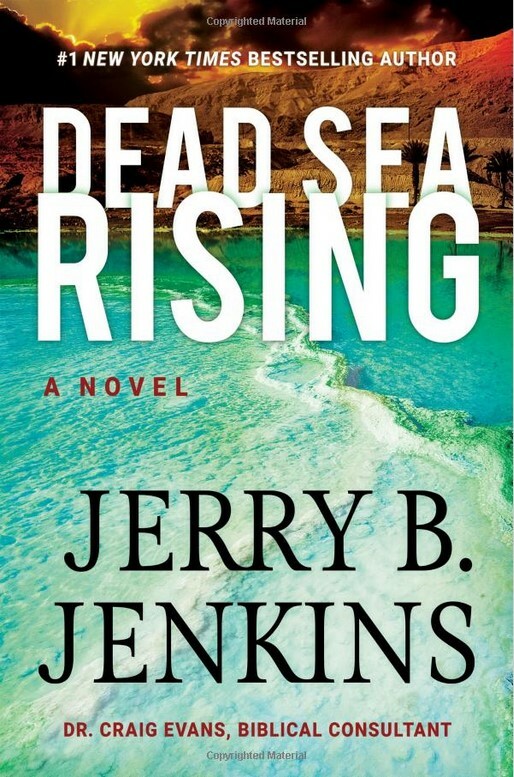 Even though Dead Sea Rising has plenty of chapter breaks daring me to put it down, I can’t, because I want to find out what’s coming. But I can’t find what’s coming until reading the next chapter from the other time period, and so now I have two cliffhangers torturing me. So, thanks a lot, Jerry, for jet-lag redux. Note to self: From now on, start Jerry Jenkins books on a Friday, so I have some recovery time before Monday. I never realized Abraham, father of the Jewish, Muslim, and Christian religions, was born so soon after the great flood. Noah himself may have still been alive when Abraham was born, and the ancient chapters tell a historically accurate—but fictional—story about how Abraham was born. And we thought modern politics is full of intrigue. In the present, archaeologist Nicole Berman is onto something from that era, four thousand years ago, that could alter everything we think we know about Judaism, Christianity, and Islam. The problem is, somebody powerful doesn’t want her to find it and they’ll stop at nothing to shut her down. I could not finish this review without mentioning a character I came to thoroughly enjoy. Detective Sergeant George Wojciechowski introduces himself on page 22 and reminds me of a 21st century Columbo. I like his salt-of-the-earth style and his quirks. I would consider myself a successful writer if I could come up with characters half that good. Full disclosure; I had to look up how to spell Wojciechowski. It adds up to a tale that drives me nuts because I want to find out everything now and I gave myself another headache when I lost too much sleep reading it. Jerry, hurry up and bring out the next book. Thanks so much, Greg. Really great. Jerry, thanks for being a great teacher.